Can i add only vanilla recipes or can i create recipes from every mods? 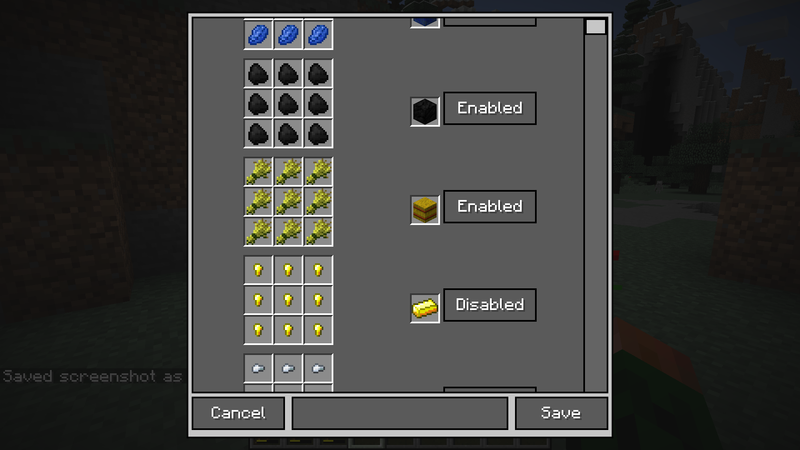 You can create crafting and furnace recipes, these should be supported by every other mod which adds a crafting table or a furnace, but you won't be able to modify recipes of custom machines. Sorry, but I don't get what you mean? Could you please clarify your problem? 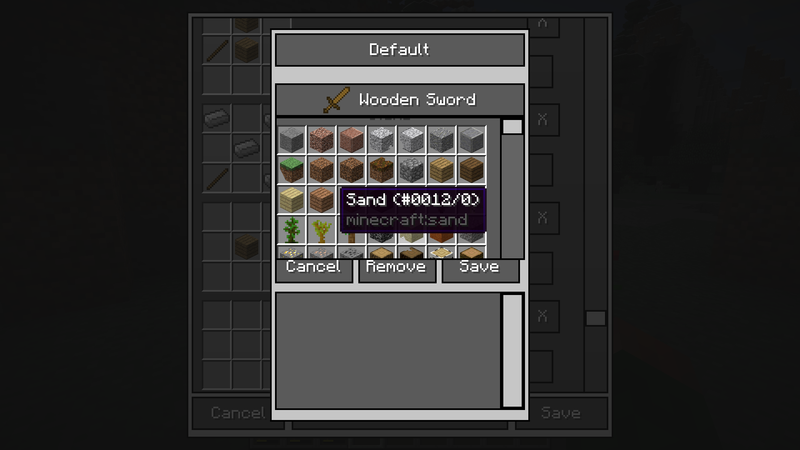 on the server the mod does not work, only returns error and does not create a config, so the new1 profile. Can you send me the crash-report or the log file? 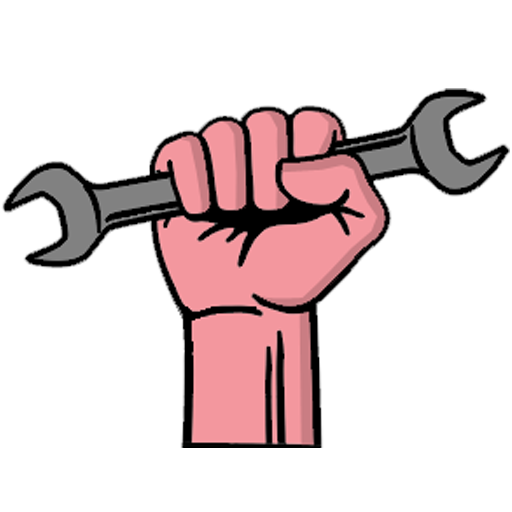 I released a new version, which should fix the issue. Vieln Dank ich denke es lag daran das der Mod noch auf der alten Java Version geschrieben ist oder? Nein das war einfach ein Fehler den ich schon länger behoben habe. Es waren aber noch andere Problem da, die ich erst jetzt alle beseitigen konnte. Die neue Version ist stabil und es sollte hoffentlich alles funktionieren. 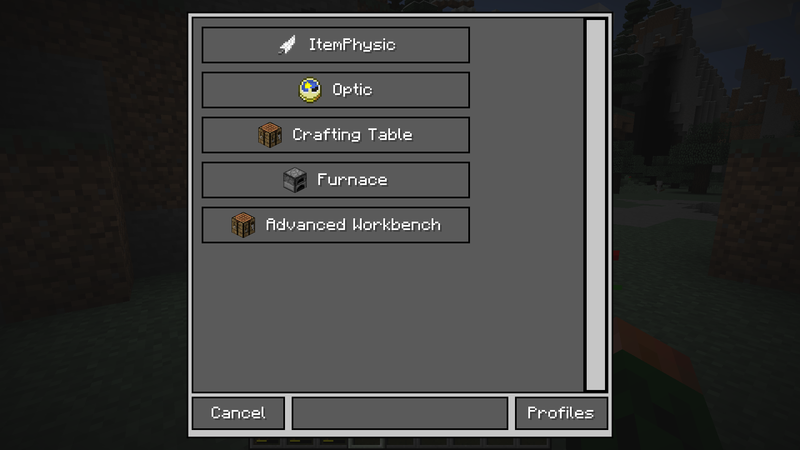 Hello, I am using version 1.12 and into the config menu doesn't appear the crafting table menu. Why? How can i solve it? What do you mean? Maybe post a screenshot?